With grand views of four of the World's highest 8000 meter peaks - Mt. Everest ( 8850m, 1st), Kanchenjunga ( 8586m, 3rd), Mt. Lhotse (8516m, 4th) and Makalu (8481m, 5th), Sandakphu trek is not just about it. The panorama of the Annapurna range including a glimpse of the Fish Tail mountain, locally known as Macchapucchare, Baruntse and the Kanchenjunga family of mountains forming the Sleeping Buddha. To add to it, the trails boasts of lots of wild life as it falls under the area of Singalila National Park. During spring season, the route is beautified by the rhododendron forests..
Sandakphu trek is also beautified by the local villages of Darjeeling district and Nepal. 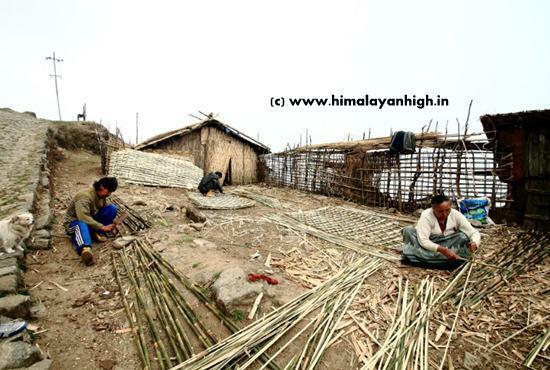 Its a border line trek between India and Nepal, and we keep swinging between the regions and villages of Nepal and India. 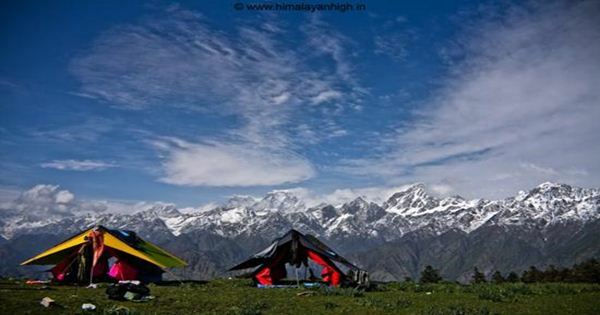 The best part of it is, its an easy trek and considered the best of the Himalayan routes to start a multi day trek in the Himalayas. 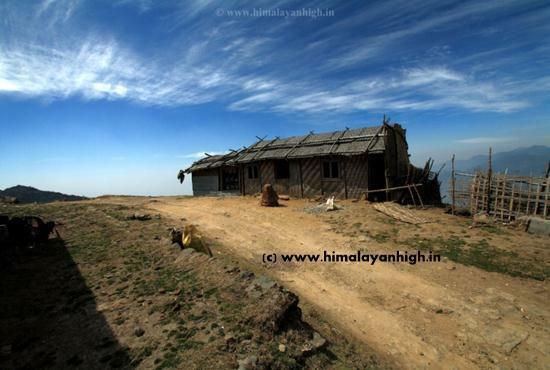 Sandakphu at 3636 meters is also the highest point of West Bengal. 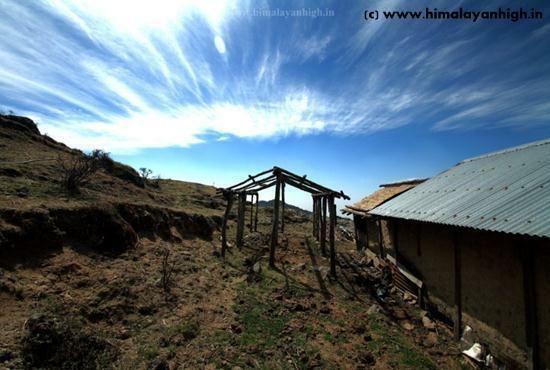 No other treks in India can boast of what Sandakphu Phalut trek can offer. 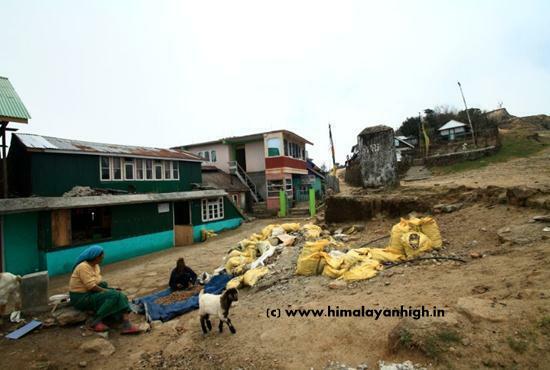 We top it up with the pleasant, comfortable and welcoming Lepcha hospitality. Lepchas are the intrinsic tribes of that region. For longer version of this trek ( Sandakphu, with Phalut), please visit SANDAKPHU PHALUT TREK - 7 Days, 6 Nights for details. 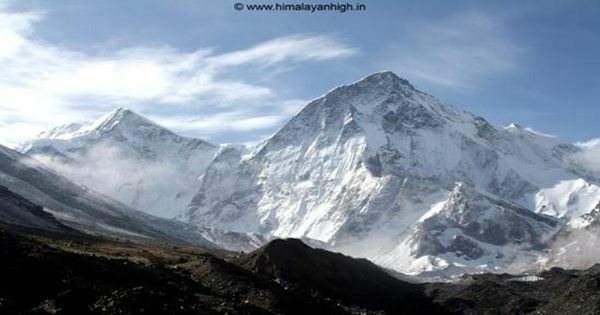 We believe that a smaller group gives you the best of the Himalayan Experience and specialize in organizing customized groups for the Sandakphu Trek. Do get in touch with us if you want us to arrange this trek for you. You can use the link - Customized Plan For Sandakphu Trek to drop us an email with your specific requirements and service required. We will get back to you with the detailed plan and quotation as per the group size and service requested. Sandakphu, West Bengal's highest point is famous for aconite flowers. Borderline treks which swings between India and Nepal multiple times. The villages that comes on the way are very beautiful. Maneybhanjyang is a small town which does not have ATMs. If you need to withdraw cash, Sukhiapokhari is the last option. Today we start our trek from Maneybhanjyang after a good breakfast feeling all excited about the day's trek. We leave for Tonglu and start walking on the trek trail and leaving aside the motor-able road used by the land rovers. The climb till Chitre is steep for about 3 kilometers. As we slowly gain height, the view opens up. 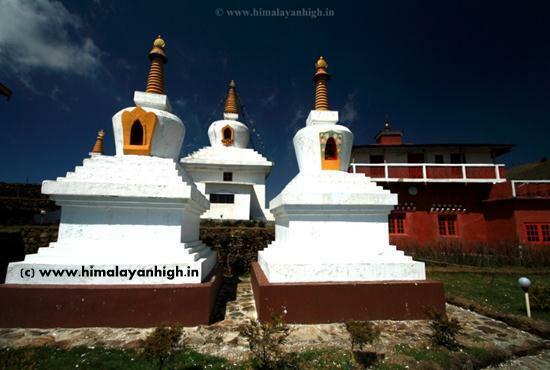 In Chitre, we are welcomed by a peaceful monastery on the Nepal side. Do not forget top offer your prayers there. We trek through the rhododendron forests on this route. During spring, this route is covered by colorful rhododendron flowers. Most of the time, this area remains misty. We cross by the small settlement of Lamadhura and then reach Meghma. 'Meghma' means 'through the clouds' and rightly named so. 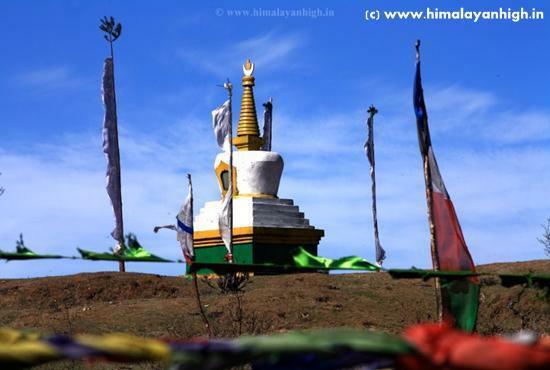 It has a SSB checkpost where we validate our identities and also has a small Chorten - Buddhist Stupa. We have hot lunch here in one of the local family's house. Today we get the first view of The Sleeping Buddha and the magic of the dawn on the high white mountains. Early morning we wake up and leave for sunrise view. Our heart flies out to the mountains as we see the Sleeping Buddha being lighted up with the early morning rays of the sun. With a panorama of more than 16 peaks, its a grand view to our eyes. 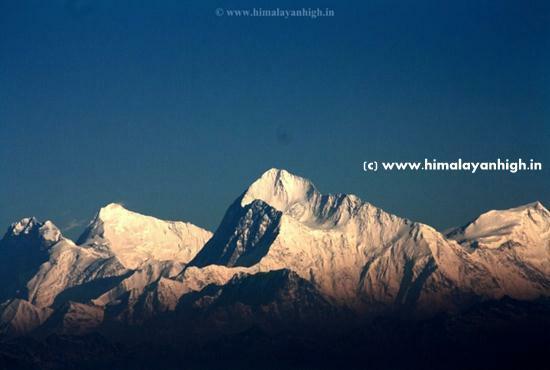 Kanchenjunga, the 3rd highest peak of the world dominates them all. We can also see Mt. Everest from here from a little hidden corner. After satisfying our eyes with the dramatic views of the mountains, we come back for tea and freshen up to get ready for our trek for the day. We leave after breakfast and as soon as we leave, we enter into the Singalila National Park. Our trek route is beautiful today through the forest offering us a chance to see lots of wild animals while we reach Gairibas, a village in Nepal. We might chose to break for tea and then head to Kayakatta, a 2 KM gently steep climb. We have hot lunch in Kaiyakatta. 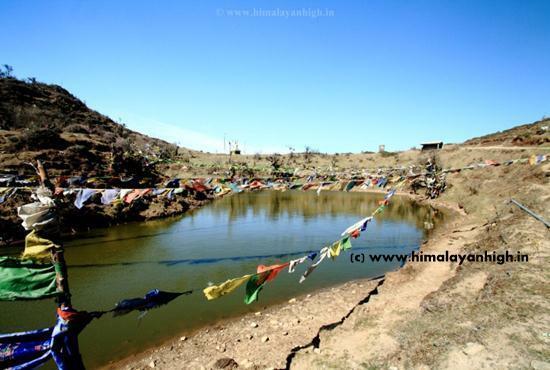 From Kayakatta its almost a flat walk of 4 kms to Kalapokhari - 'Black Pond', marked with furling Buddhist prayer flags and a small Chorten. Watch out for wild animals and birds in the entire trek trail today. Today, we start bit easy as we have very short distance to cover. 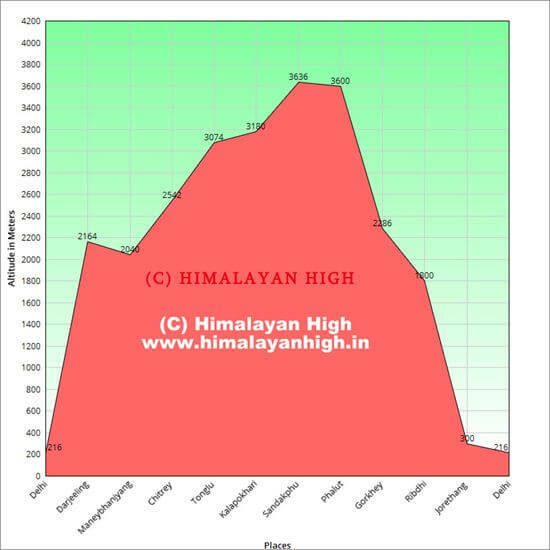 Its an easy walk initially before hitting the steeper stretch to Sandakphu for the last 2 kilometers. 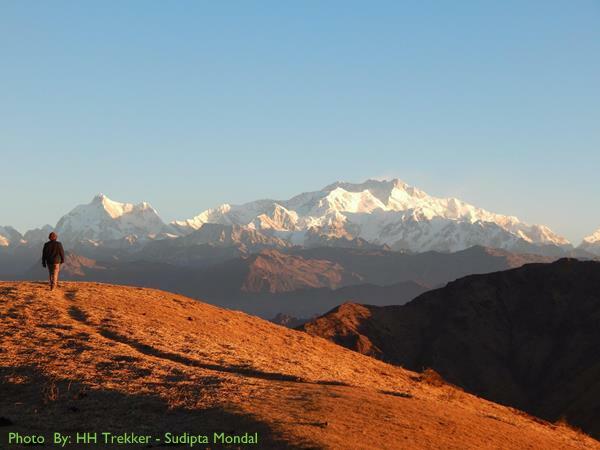 Keep an eye for Kanchenjunga and Kumbhakarna on your right while walking through the beautiful landscape. 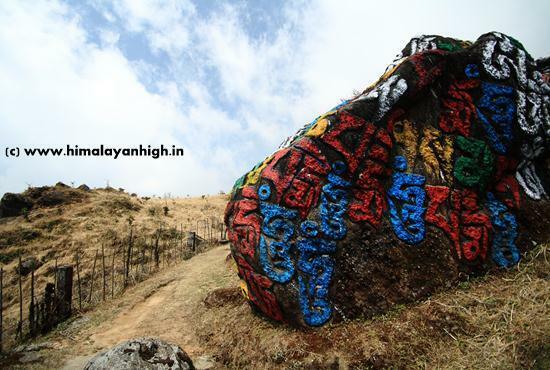 At 3636 meters, this is the highest point of West Bengal and is shared between India and Nepal. 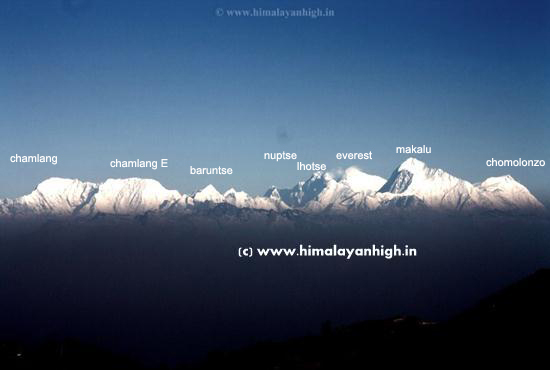 From here, you can see more than 20 peaks of Everest and Kanchenjunga range and that of Bhutan. Sandakphu remains above the clouds most of the time and seeing pictures of dense 'sea of clouds' is not a surprise here. On a clear day, the visibility goes very as far as the plains of Siliguri and the Queen Of The Hills - Darjeeling. Brief Details Of The Day: Today we descend down sharply through the deep forest. It makes for one of the most beautiful day of the trek and the long distance is easily forgettable due to effortless descend and beautiful views. Once we reach Srikhola, we walk a little further on flat road to reach Sepi. If we wish, we may leave fr Darjeeling today itself after reaching and save a day. The vehicle needs to be arranged on prior request though. Brief Details Of The Day: Early morning we drivce back to Bagdogra or NJP. If we are in no hurry, we can easily take shared jeep to Siliguri and save some cost on transport. Transportation from and back to Bagdogra or NJP. Can be arranged o request at an extra cost of 12000 per vehicle with seating capacity of 7 people to be shared by the team.